But 60fps remains exclusive to PC. Forza Horizon 3 gets an enhanced Xbox One X patch this week, adding a 4K presentation plus other extras to an already visually arresting title. Developer Playground Games has justifiable confidence in this update - to the point that we were invited to its Leamington Spa office for a rundown of the benefits, and handed footage ahead of time. This X patch won't satisfy those looking for a 60fps version of the game - the lock remains at 30fps - but what it does bring to the table in terms of 4K support does impress. What you get with Horizon 3 on Xbox One X is a true 3840x2160 rendition of the game with no dynamic scaling or checkerboarding in play. 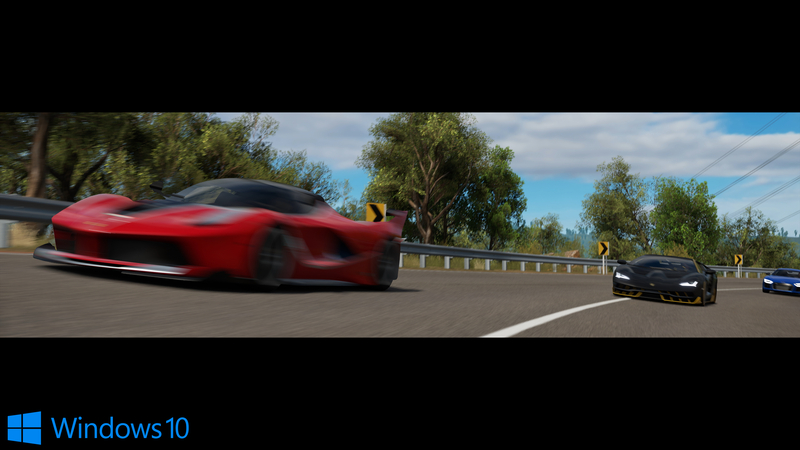 Fixing it to 4K is an incredible feat in itself: a quadrupling of pixels rendered compared to a base Xbox One's 1080p, in effect mirroring the efforts Turn 10 made with Forza Motorsport 7. The good news continues when it comes to how that 4K image is presented. Surprisingly, there's enough GPU overhead to retain the taxing, 4x multi-sample anti-aliasing we had on the regular Xbox One, running in tandem with that 4K resolution. The final image quality when combined with motion blur is superb, and really it's hard to criticise a graphics engine firing on all cylinders in this way. Even so, PC running at 4K and max settings does highlights a few interesting contrasts. In that case you have the option of FXAA on top of the 4x MSAA - which can refine the stair-steps even further compared to Xbox One X. However, on the whole it's only a marginal change, and Microsoft's console pushes a beautifully crisp and clear frame that's a near pixel-match for PC at 4K. It's a phenomenal effort, and the only console title we've seen this generation to apply 4x MSAA to such a high resolution image. For anyone buying an ultra HD TV today, Forza Horizon 3 has immediately become great showcase material. Forza Horizon 3 hits Xbox One X in style with full 4K support at a locked 30fps. Tom dissects the settings next to a fully maxed out PC version. At this point, there's no skirting the issue of frame-rate. Sadly, no 60fps option is available, which is high on the wish-list for console fans of the game. What you get instead is, in fairness, a rock-solid 30fps delivery, much like base Xbox One hardware's. 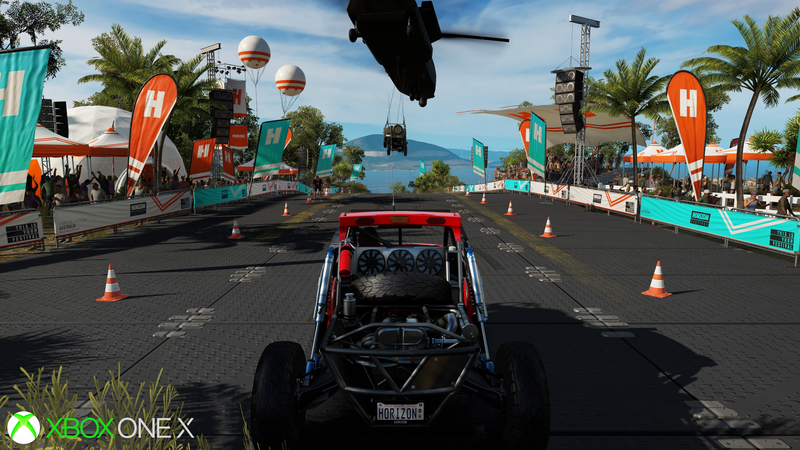 Compared to Forza Motorsport 7 - which does hit 4K60 - there's a sense Horizon 3's focus on CPU interactions adds an extra challenge to locking to 60Hz. Bearing in mind the game draws in swathes of terrain, from forests to giant cityscapes, all in an open-ended manner, it's clear it's a different technical beast to Turn 10's pure racing sim. At least 30fps is locked on Xbox One X - it's unshakeable - though there's no escaping the sense that it's a missed opportunity for such a fast-paced title. For now, PC remains the only platform where a higher refresh is possible. Clearly the mandate of this patch is on improving visuals, and Playground Games pushes the X hardware to impressive returns here. 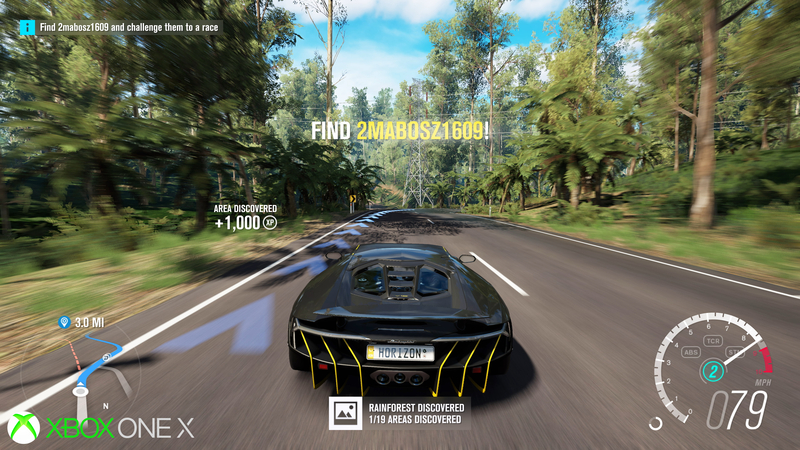 As ever with the move to 4K, simply using standard Xbox One settings and calling it a day wouldn't entirely satisfy, and plenty of tinkering has gone on under the hood. Texture assets are the same between base Xbox One and PC, but the presentation of these materials is much improved on Xbox One X. Forza Horizon 3 gets the maximum 16x anisotropic filtering setting on all surfaces with this patch - a visible boost when viewing dirt tricks or road marks at tight angles. That brings it up to par with PC's best preset, and it's during cut-scenes that this mark-up in quality shines especially. The second big point is motion blur, which also gets a healthy bump over base Xbox One. Sample quality is increased, creating a smoother blend between consecutive frames on moving objects, and even camera whip-pans. It has its limits though, and this is where we find Xbox One X's settings fall short of PC's ultra preset. Simply put, the X version uses fewer samples than PC, which translates to more obvious gradients on the effect as objects swing past. It's a marginal difference, but likely a performance-saving one for the console. 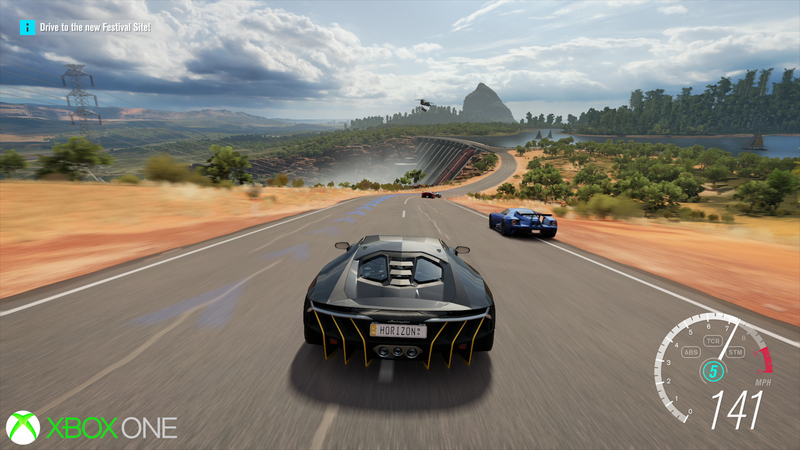 Forza Horizon 3 turns up with a native 3840x2160 resolution on Xbox One X, quadrupling the pixel count of a regular Xbox One's 1920x1080. Remarkably, the enhanced patch even retains 4x MSAA; one of few modern titles to incorporate it. Also note Xbox One X's massive boost in static shadow quality across the ground, in this case matching PC's top preset - though we're informed the mapping can go higher than PC in places. Higher quality LODs are applied to Xbox One X, bringing the machine closer to PC in terms of car, foliage and building detail. The draw distance on distant track detail is pushed a little further on PC however. 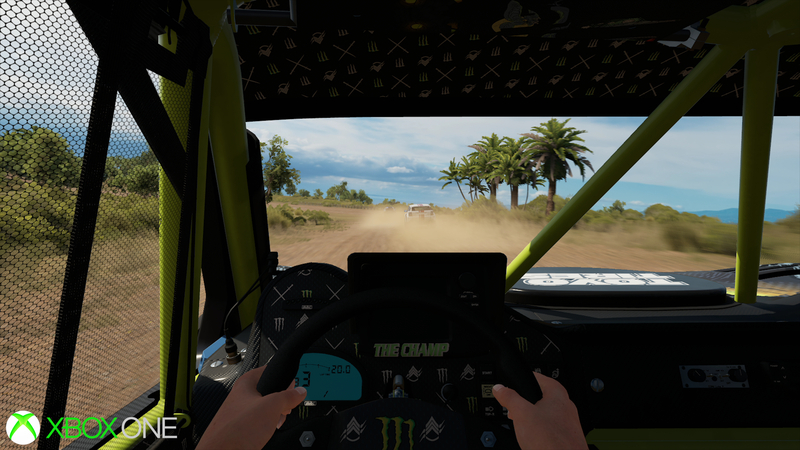 Motion blur on Xbox One X gets a boost too. Note the wheels in motion on the left; sampling quality falls in between a standard Xbox One and PC at ultra settings. The presentation at 4K is superb on Xbox One X, giving a pixel match for PC at the same resolution - and with no dynamic scaling in play. For demonstration we've added FXAA to PC here - on top of 4x MSAA - which shows further refinements to the image, though otherwise the two are closely matched. Another example of static shadow map quality getting a marked boost on Xbox One X. Also note reflection quality is significantly sharper, drawing parity with PC at its best settings - and in places this comes with increased LODs on the reflections themselves. While static shadows are improved, dynamic shadows can vary in quality - in this case matching the resolution of a base Xbox One. Note the side of the car, where reflections are also missing on X, compared to PC. 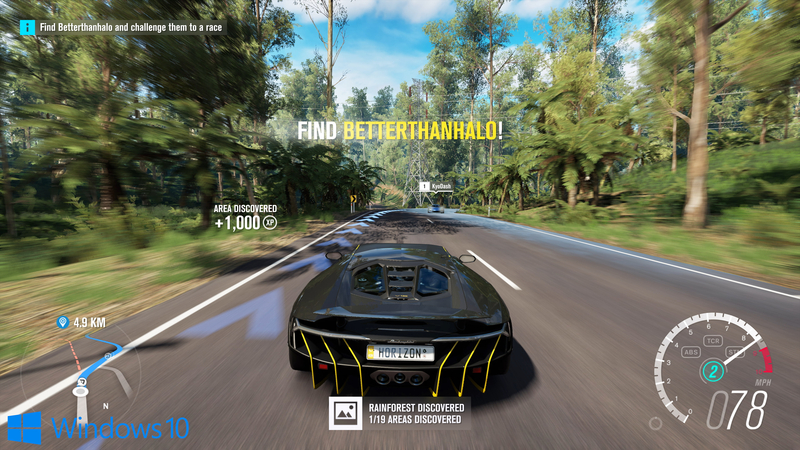 The next major upgrade on Xbox One X is in the level of detail for terrain and cars. Higher polygon models for trees and vehicles spring into view at a farther distance with X - and that even applies behind the car, visible in the rear view mirror. Arguably it's the most important upgrade to go with the 4K res boost; that pop-in is still there, but it's minimised to a respectable point that works at this resolution. Next to PC we're looking at a very close call in setting parity. We've caught vehicles running at a lower polygon count in one case on Xbox One X (possibly due to the engine's 'dynamic' setting that adjusts visual quality based on load), but overall, the opening scene shows all elements rendering at the same quality as PC. Speaking of reflections, this is a curious point. 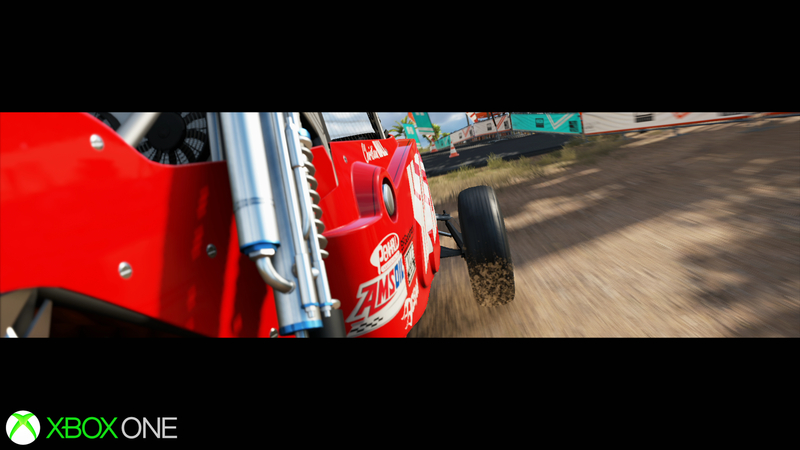 The reflections on car exteriors are much sharper compared to a regular Xbox One. In fact, it's a practical match for PC's top setting, and bearing in mind the car takes centre stage in the frame, it's great to see this getting attention. There are anomalies in how regularly this matches PC; in some cut-scenes the reflection map simply matches a base Xbox One, while in gameplay it's consistently on PC's level. Again it's a sign some settings are at the mercy of a dynamic quality system, though on average it marks a huge leap over the regular Xbox One. A full 4K HDR presentation of Forza Horizon 3 on Xbox One X, backed up by extensive developer commentary from Playground Games. Last but not least is the improvement to shadows on Xbox One X. According to Playground Games this translates to higher static shadow quality than PC's ultra preset, with unique, pre-baked 4K resolution shadow maps in place on Xbox One X. Now in practice, this is still perceptibly close to PC's best setting, and a world away from the diffused, blurrier shadows on a regular Xbox One. The fact this happens to be one of the big leeches on PC GPU performance makes it all the more impressive; along with the push for high levels of MSAA, it's another example of Xbox One X's increased horsepower in this area paying off. On the flipside, truly dynamic shadows do fall short of PC. 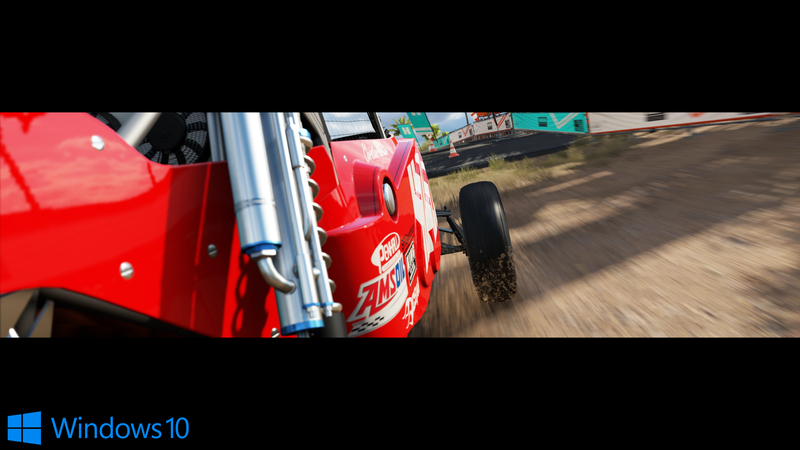 Any self-shadowing across a car flags this up, and generally you get a lower preset that renders at a lower resolution. It's far from a deal-breaker, and as with most of the occasional nips and tucks on X hardware, these are small details you'll barely notice in motion. 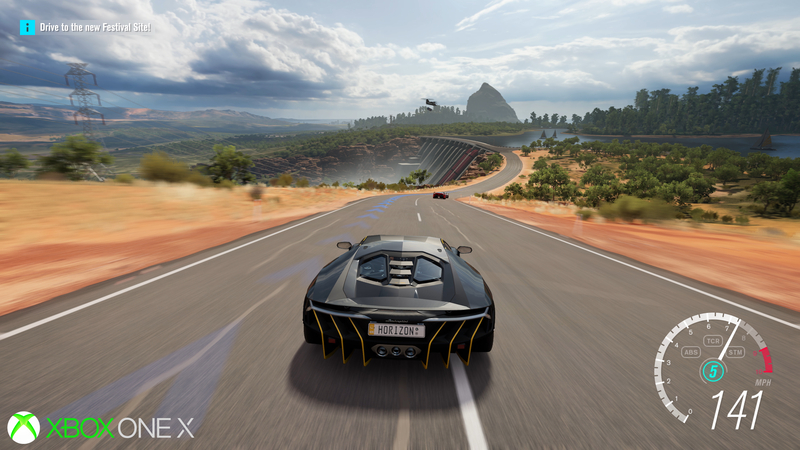 In the end, Forza Horizon 3 on Xbox One X may not match PC's very best visual settings across the board, but what we do get lives up to the core promise of the console: a true 4K experience in the living room. The success is evidently in the improvement over a regular Xbox One machine, and compromises next to PC's ultra settings are only ever subtle. The absence of 60fps is a sore point given how much this game deserves a fast refresh, but Playground Games commits to visual fidelity, and 4K, in a way that makes sense given the hardware at hand. 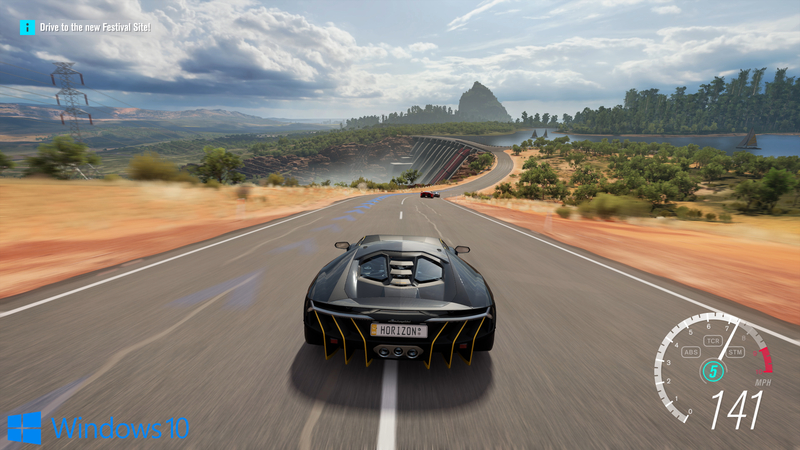 What you're left with is a genuine visual showcase for Xbox One X - and Forza Horizon 3 adds to an already impressive, growing list of 4K titles on the machine.